Today I worked from home so was deprived from cycling into and back from work! To make sure my graph keeps going in the right direction I decided to go for a cycle after work. 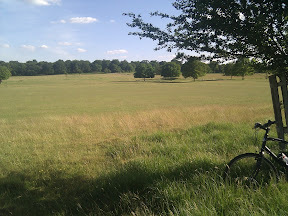 I finally made it to RIchmond Park. 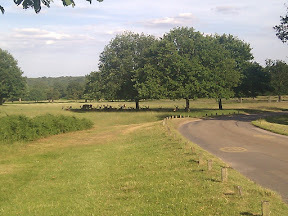 It’s a fantastic place to cycle – very quite, not much traffic, nice and open and it has deer! It is also quite a challenging ride with some pretty steep gradients. The route I took was about 16.5 miles and a total elevation increase of nearly 1000ft. It’s right on my door stop so a good place to go for a quick ride then the weather is nice.